With this new WIP I'm trying to expand a little on my previous model, the Apollo Lunar Module. 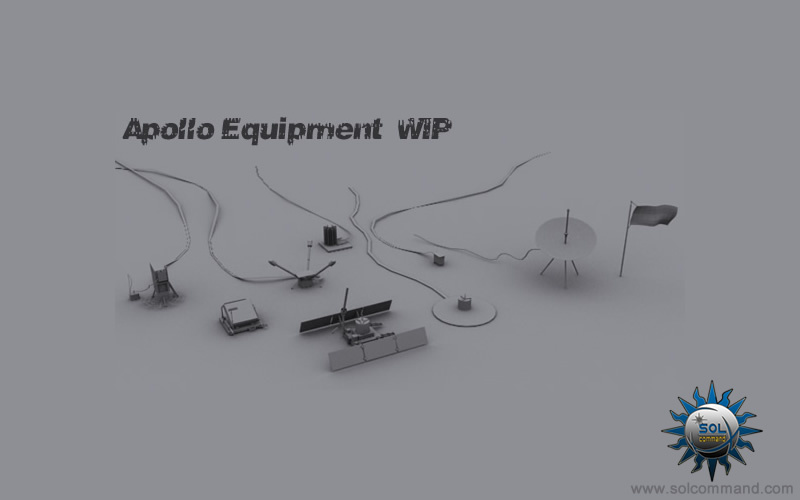 This represents the NASA science equipment used in the Apollo missions and besides the tools showed in the render I plan on adding a few more and I also need to scale them all to real life specs before starting to work on the texture. I figured it would a nice addition to your moon scenes if you also had some equipment to add in your scene along with the landing module thus after a couple of hours searching the internet I made a list of about 14 items used in those missions. Now it will be a few days I believe till I'll finish these models cause it takes a while to unwrap and texture more than a dozen models, so I'll see you again some time next week.